Because women are severely underrepresented in Georgian political life, domestic violence, violence against women, and women’s issues in general often receive no response from political elites, and the cycle of mistreatment of women is perpetuated. 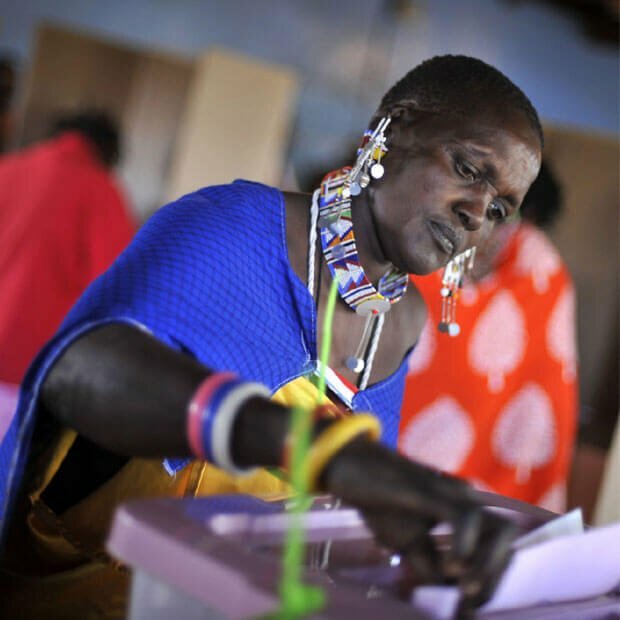 But the NDI-supported multi-partisan Task Force on Women’s Political Participation saw these events as the breaking point for women’s rights in the country. They formed “A New Agenda,” a campaign to increase women’s representation in Georgia’s parliament in the 2016 elections through introducing gender quotas in national and local legislative bodies. Georgia is a patriarchal society that has struggled with women’s representation since its independence in 1991. The 2012 parliamentary and 2014 municipal elections underscored serious gender imbalances in representative bodies, reflecting a culture of male-dominated political institutions. Although women constitute 52 percent of the population in Georgia and account for an average of 40 percent of members in political parties, only 12 percent of the 150-member parliament is female. According to the Inter-Parliamentary Union, Georgia ranks 147th in the world in terms of women’s representation in parliament. At the local level, women constitute only 11 percent of some 2000 local councilors across the country. There are no female mayors in Georgia, and only two out of 69 Gamgebeli (governors) are women. An image from the "Where are the women?" campaign. Using NDI’s 2014 public opinion poll, which demonstrated that almost 70 percent of Georgians believe at least a third of the legislature should be women, the Task Force has worked for two years to introduce mandatory gender quotas to the Georgian parliamentary system. It has hosted over 50 advocacy meetings with the President of Georgia, the Speaker of the Parliament, government officials and political party leaders. In 2015, the Task Force began a Facebook campaign to introduce gender quotas into the Georgian political system called “Win With Women – 50/50.” The first part of the campaign, called “Where are the women?” featured photos from Georgian political life that did not include any women, as well as NDI poll data and statistics which demonstrated the low level of women’s political participation. The campaign proposed parliamentary gender quotas as a solution. 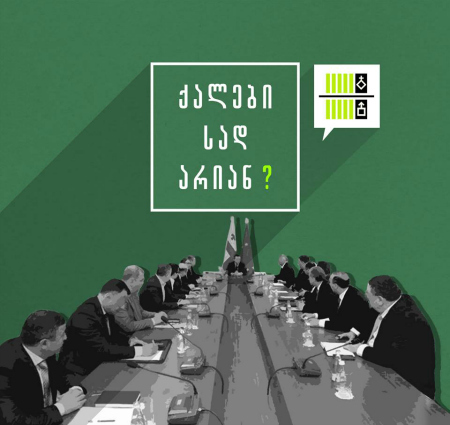 The “Where are the women?” series was followed up with a series of videos and photos of politicians and representatives of Georgian society declaring their support for gender quotas. The Task Force had made strides in putting the issue on the agenda, but still had more work ahead of it. In June 2015, the group submitted its initiative for mandatory gender quotas to the Georgian parliament. The initiative was adopted by the Human Rights Committee, but struck down by the parliament’s Legal Committee. Undeterred, the Task Force and the Georgian Women’s Movement realized they needed to mobilize the public to call on their elected officials to do more to ensure women were represented in elected and leadership roles in government. To demonstrate the magnitude of public support, the groups organized a rally in favor of gender quotas on International Women’s Day in 2016. Though the Task Force is still working towards their goal of achieving greater women’s representation in parliament, it has already altered the discourse surrounding gender equality and women’s political representation in the country. What was once a utopian concept is now an attainable goal. The Task Force is one of many NDI-supported women’s initiatives in Georgia. 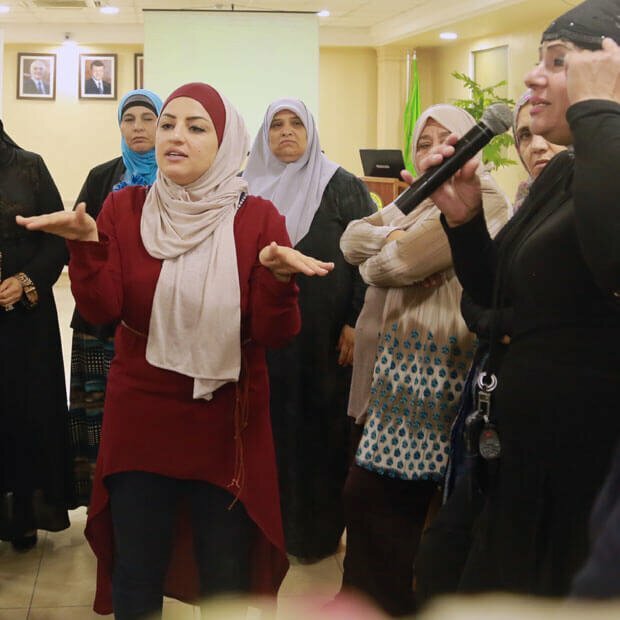 During the last decade, NDI’s programs have addressed structural barriers within political institutions, such as the dearth of party resources and support for women. NDI also conducts regular polling on gender issues in the country and has trained women candidates through its Future Women Leaders and Political Party Leaders programs. 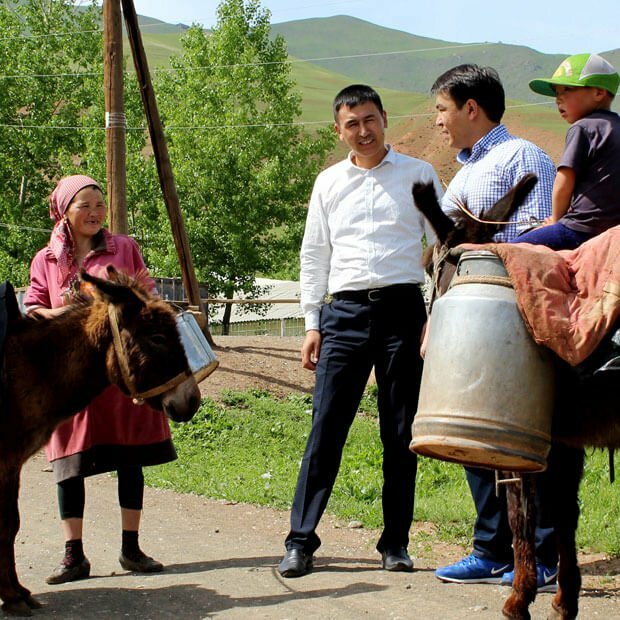 Participants, including some prominent politicians, have credited NDI trainings and polling information as a key to garnering the public support that helped them get elected. This program is funded by the Swedish International Development Agency (SIDA).